ReadyLeaf box leaf hedges are bold, versatile and meticulously made right here in New Zealand. Excellent for balconies, decks, pool surrounds, and patios. 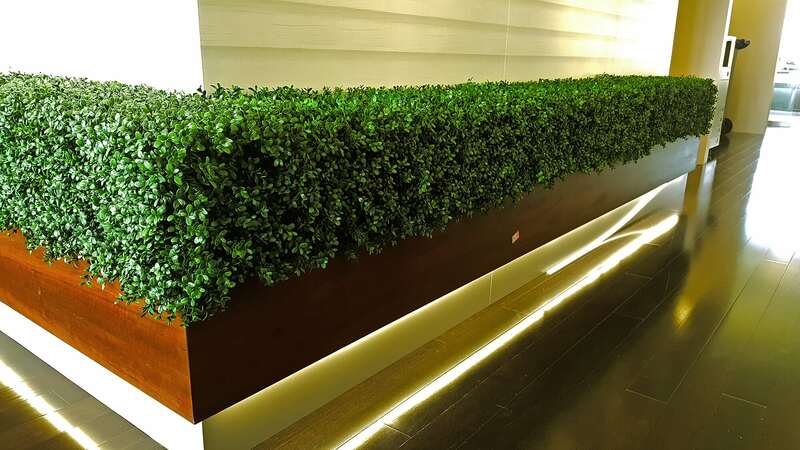 They are also ideal as room dividers and along borders and walkways. We build box leaf hedges to your specifications. With or without a planter box. Choose your leaf type from our fence and wall cover page, provide us with measurements and leave the rest to us. Our planter boxes are made with tanalised machine gauged pine painted in a colour of your choice. If DIY is your thing, make your own hedge to border your lawn, garden or boundary. Our easy to follow guide is available on request. For ideas, photos and more information on ReadyLeaf box hedges check out these pages.